Reszon Diagnostics International Sdn. Bhd. (Reszon) develops and manufactures a portfolio of innovative in vitro diagnostics (IVD) rapid test kits and ELISA kits for medical professionals and clinical diagnostic markets worldwide. 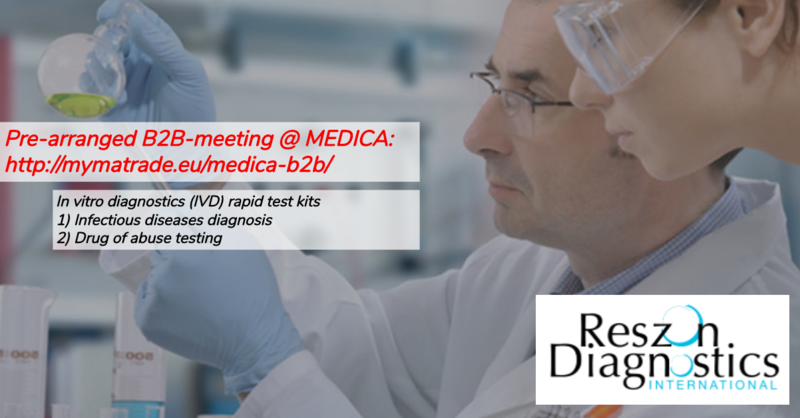 Our IVD rapid test kits allow medical professionals to diagnose diseases quickly and accurately for early detection and prevention of diseases. The simple assay procedures plus portability of our rapid test kits make them ideal for use in wide range of settings including remote areas and countries where sophisticated medical diagnostics are not available.